Viking Vets - To Vet or Not To Vet - Your local vet based at Chevening, Station Road, Henbury, Bristol BS10 7QQ. I read a rather surprising statistic the other day. 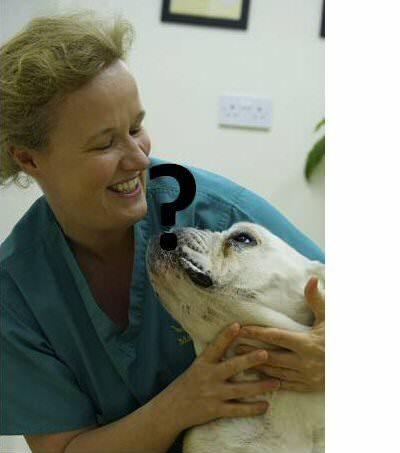 A survey was conducted amongst a large group of vets about all sorts of veterinary work related issues. Amongst the results 90% found the job very stressful .This did not surprise me at all since we are dealing with highly emotional and sometimes very distressing situations. We also have the added issue of asking for money for our services, this leads to a lower tolerance for failure in outcome of treatments. Some conditions are chronic and all we can offer is management rather than cure, and unless this is communicated very clearly to the owners they may have unfulfilled expectations of outcome which lead to dissatisfaction and break down of trust. It remains a very sad fact that vets have a fourfold higher level of suicide than the general population, and the highest of any profession. 80% found the job satisfying despite the stress. Again, no surprise here, the joy of a job well done be it bringing new life into the world, doing lifesaving surgery or even putting a much loved pet to sleep with kindness and dignity so the owner can walk away with a feeling of relief and the knowledge of doing the right thing. I am always amazed at how many chocolates, biscuits and flowers we receive, but the most amazing thing is the beautiful letters and cards people sit down and write to us. The fact that really surprised me was the percentage of people who regretted having chosen to be a vet. The number was 54%, so more than half of the vets would rather do something else. I have been trying to think of reasons for this. Gaining entry into veterinary degree is very competitive, so only the highest academic achievers get in. Is there a discrepancy in the expectations of what the practical job will be and what the reality is? Are the academic high achievers encouraged by eager parents or ambitious schools to apply for a veterinary degree? My two sons are 16 and 14 years old, they now have to make choices for their future and I have tried to impress on them how important it is to find a job that you feel passionate about, something that you will enjoy hopefully for a lifetime. Do not be afraid of following a dream, but realise that you will have to work hard and have set backs.